Lazare, 25 years old, struggles in Paris to make both ends meet. When two friends from a rock band proposes him to be their roadie, he accepts straightaway knowing that on the return, he will have enough money to pay for his flat rent. Never mind for Elena the girl he has not kissed yet but whom he believes is the woman of his life. The rock band is bound to a European tour. 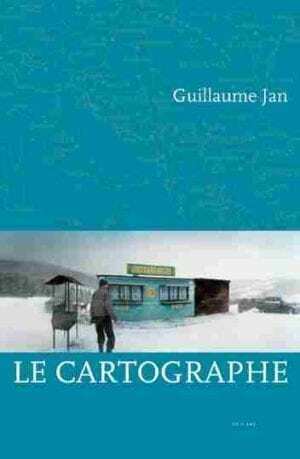 But the adventure stops in Sarajevo where their van is stolen due to Lazare’s carelessness. Abandonned by his friends, Lazare’s way back to France reveals itself more complicated than planned: by absent-mindedness, by curiosity, this awkward Ulysses is going to lose himself in the Balkans. Luckily at first Lazare encounters providential souls ; he experiences physical love with Nina in Montenegro, strikes friendship with Gjorg searched for vendetta in Albania, joins a rock band on their way to Tirana and Macedonia. In Bulgaria, he shares Mira’s flat and bed in Sofia, encounters Viktor, a circus manager, has his life saved by Martin and embarks with him clandestine on a ghost ship to Odessa. But from then on, the encounters become more frightening… and Lazare will decide to flee to Moldavia on his own, then to Ukraine where he will work for Dima, a house builder before reaching Paris through Slovakia and Prague. Along this chaotic wandering, it is a geography of the soul that starts to be drawn under Lazare’s feet as well as on the back of the European map where he has been writing notes like in a diary. The point of noreturn seems inescapable.